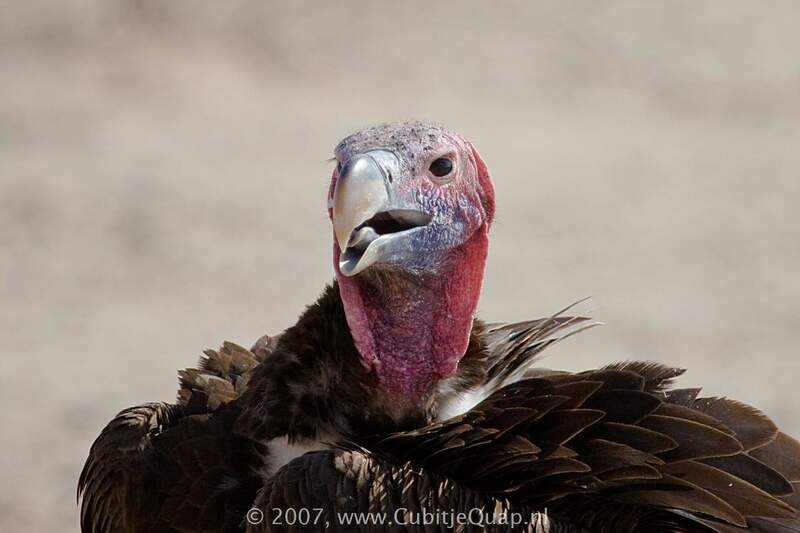 At close range, the bare red skin on the face and throat is diagnostic. 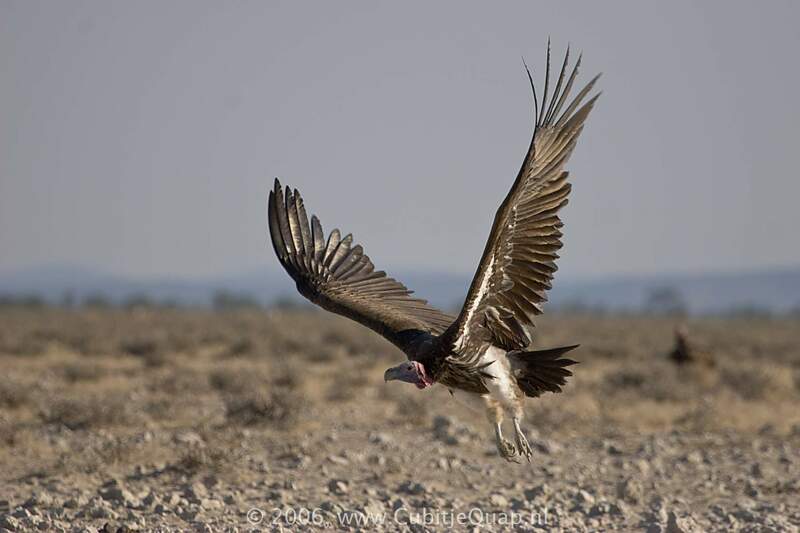 In flight, the white thighs and the white bar running along the forepart of the underwing, from the body to the carpal joint, contrast with the otherwise black underside. 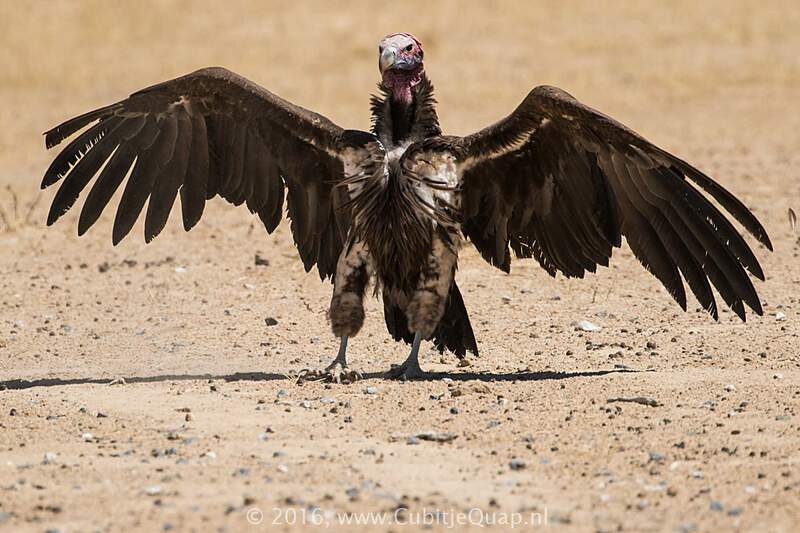 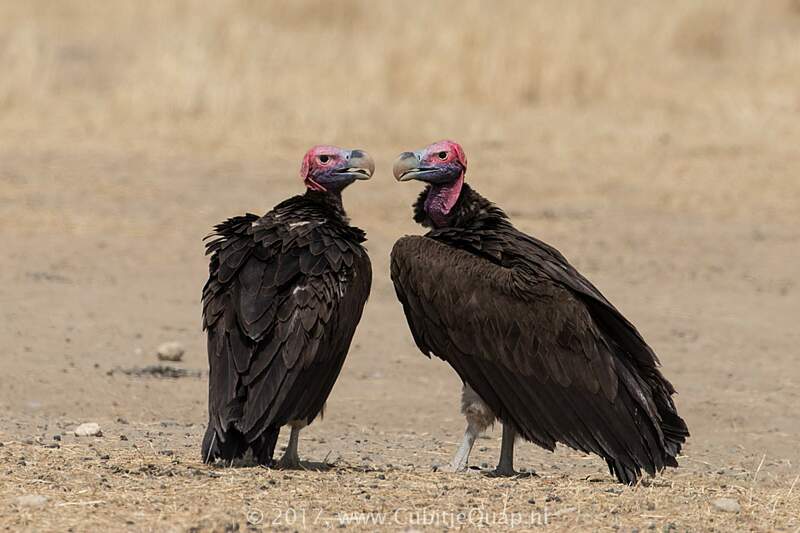 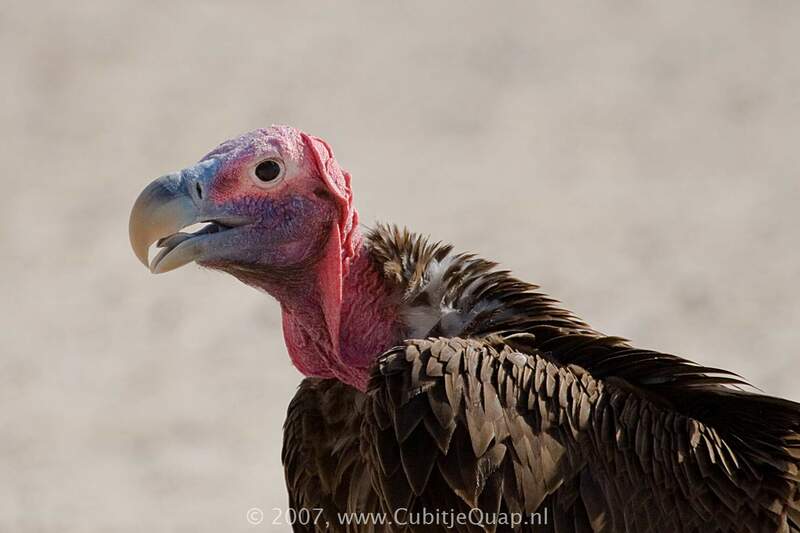 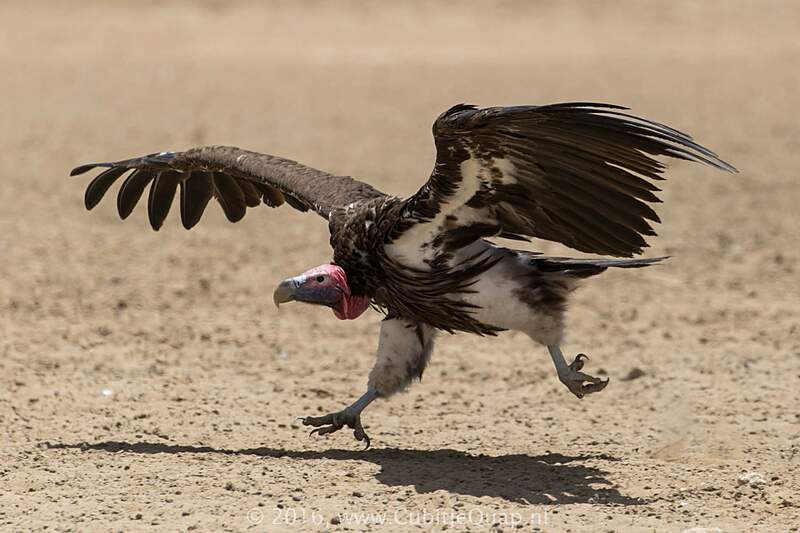 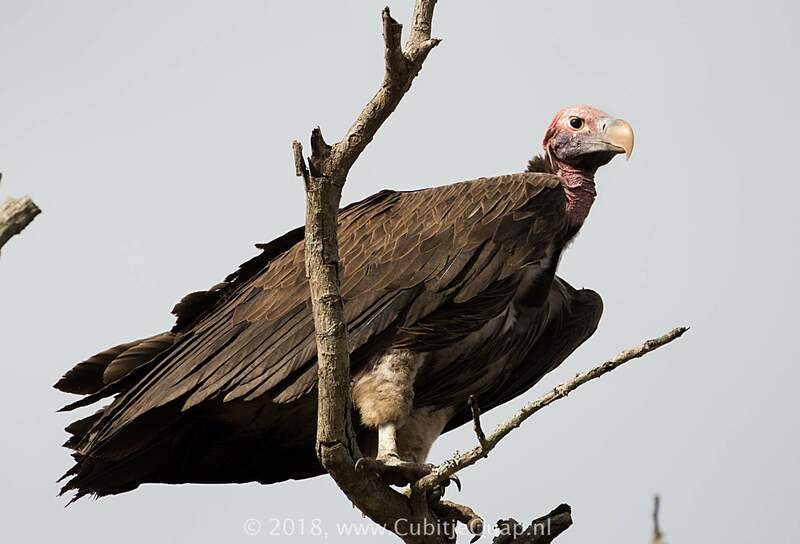 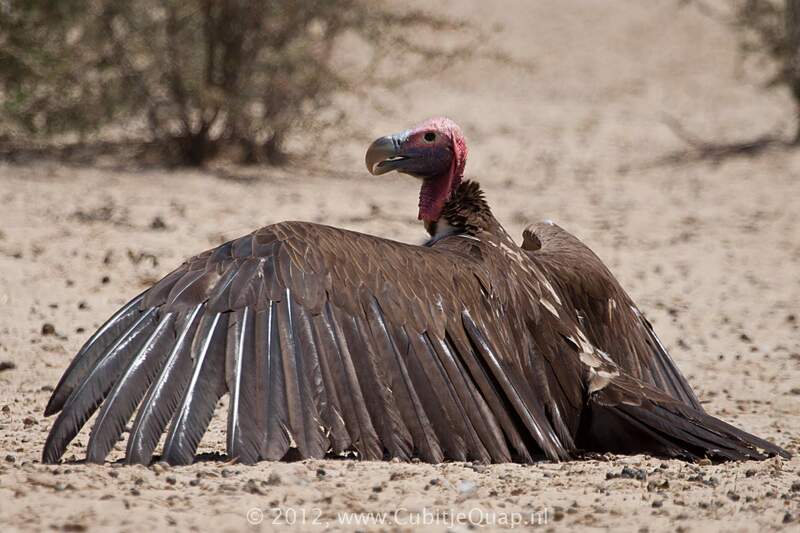 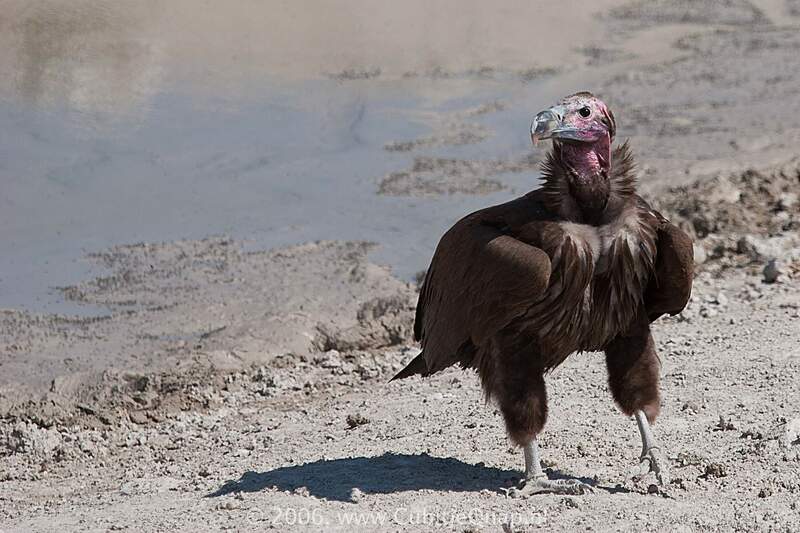 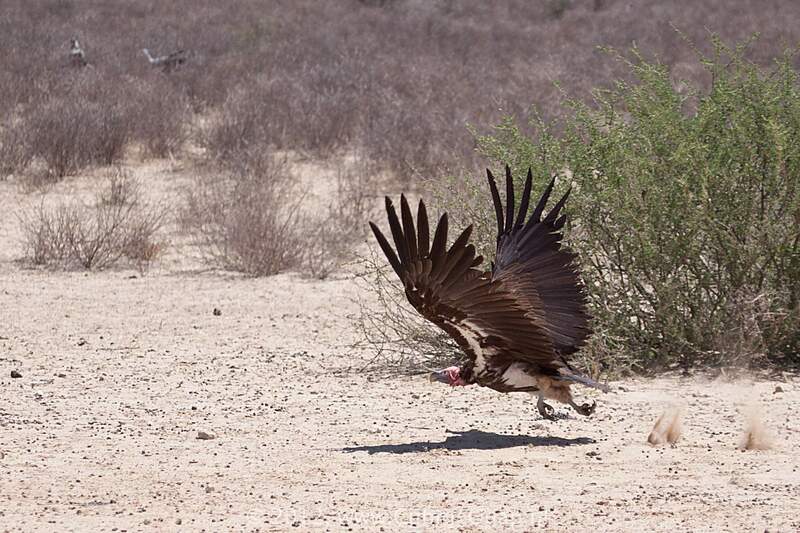 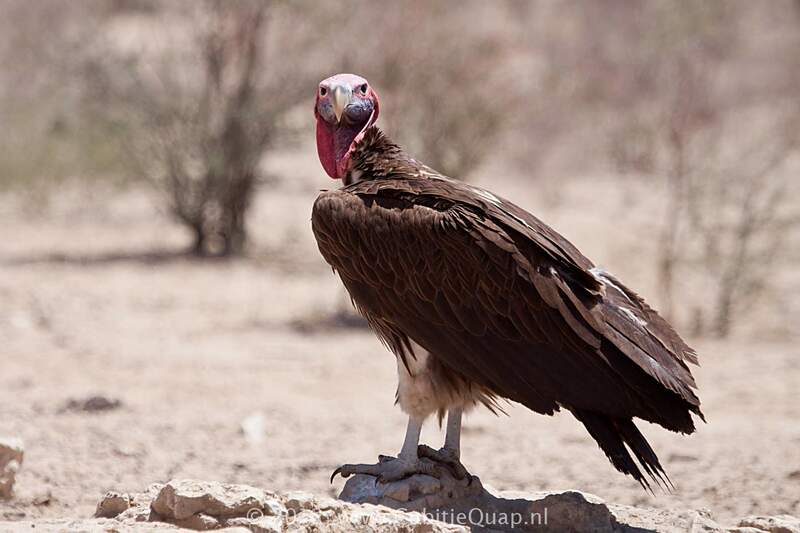 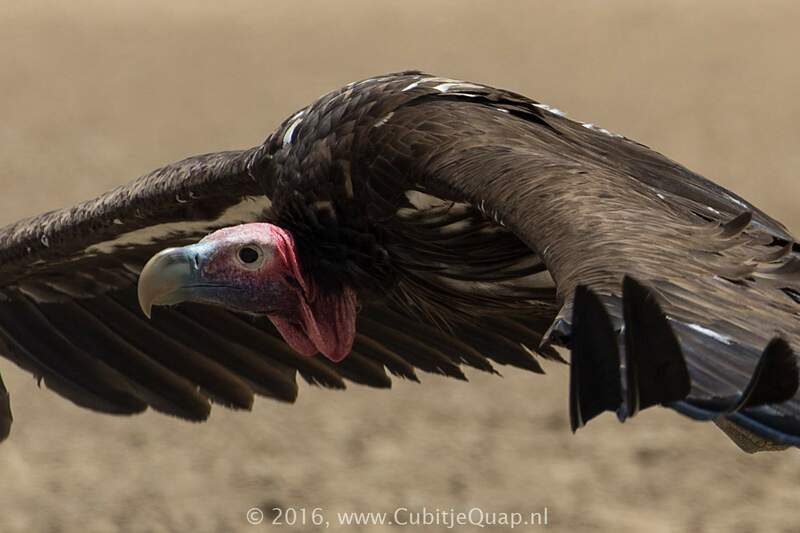 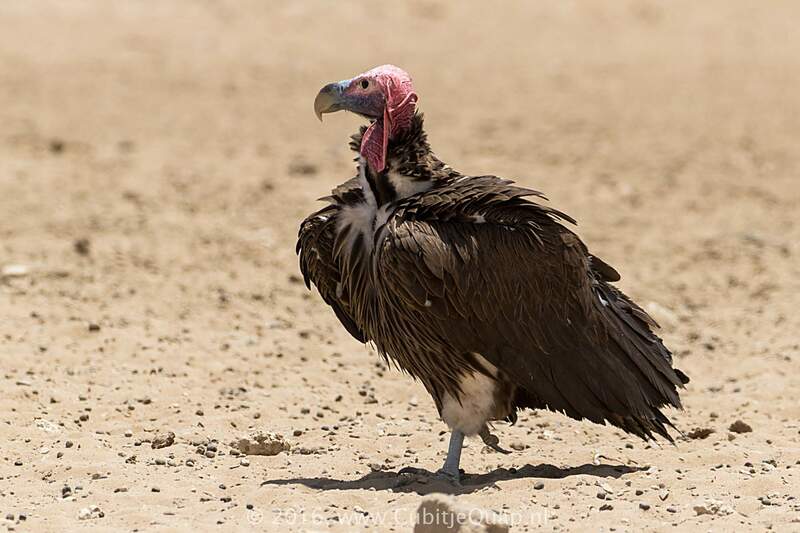 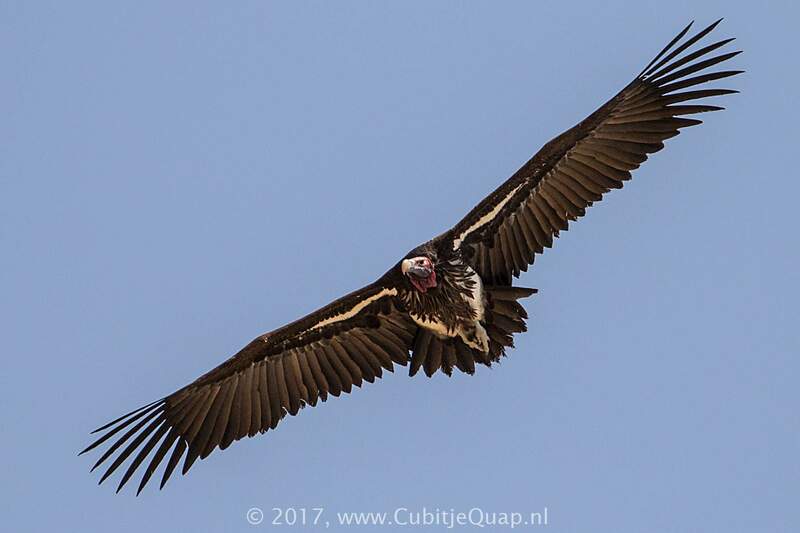 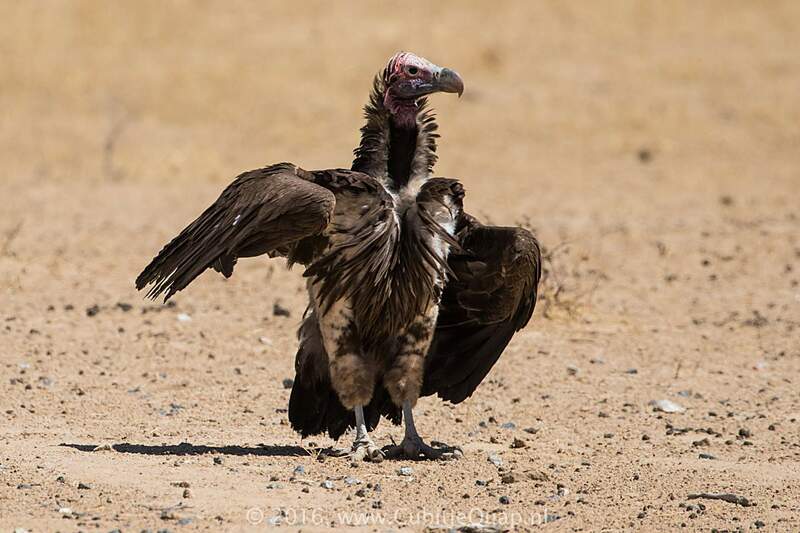 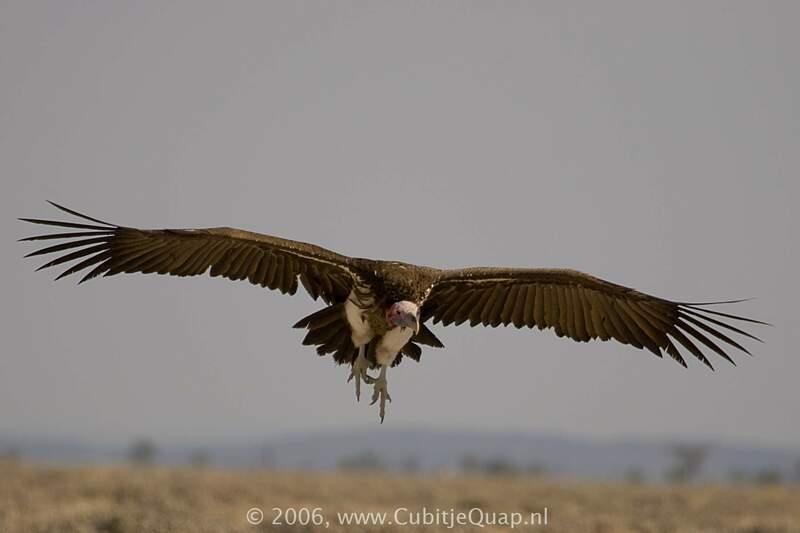 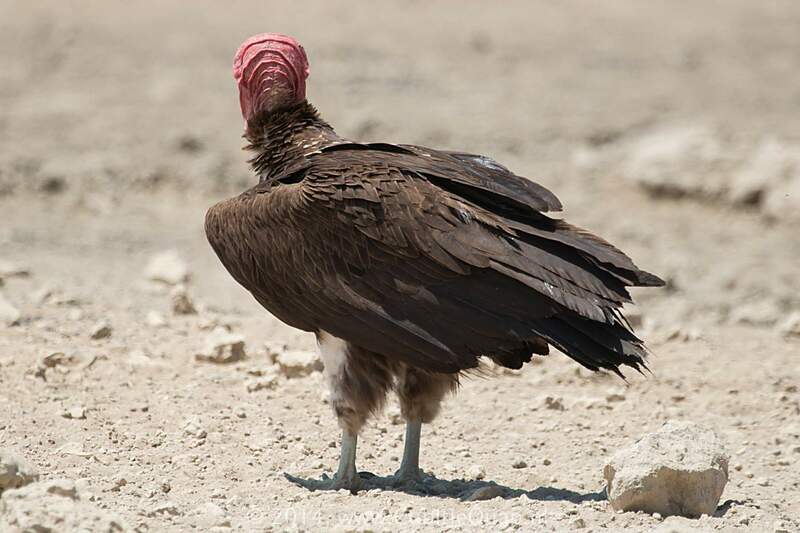 Juvenile and immature are dark brown all over and most closely resemble Hooded Vulture but are almost twice the size. 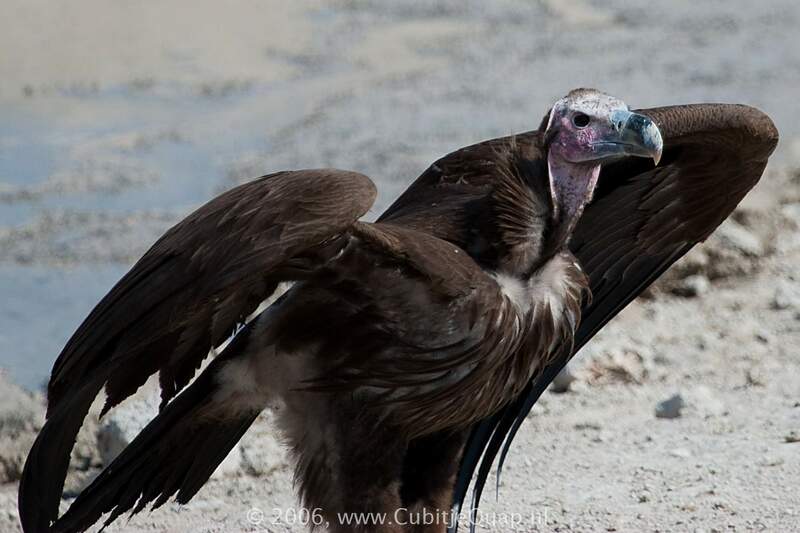 Juvenile has conspicuous white streaks on the mantle. 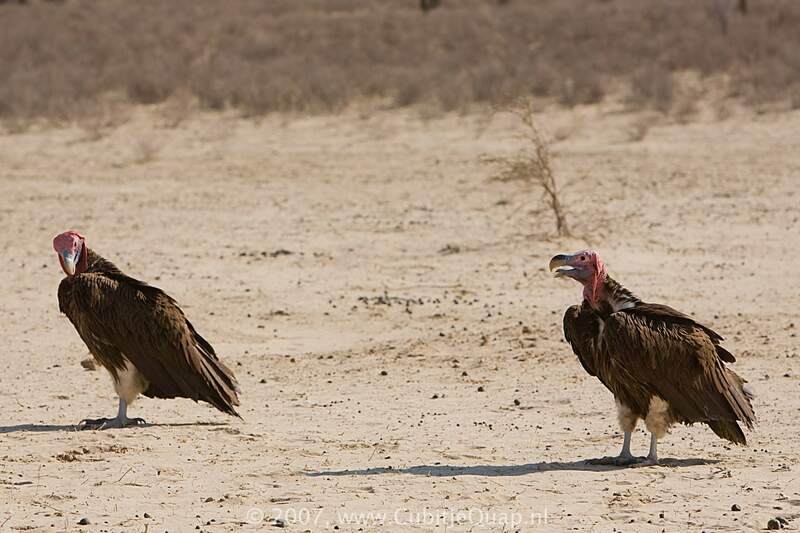 Thornveld; mainly in drier regions. 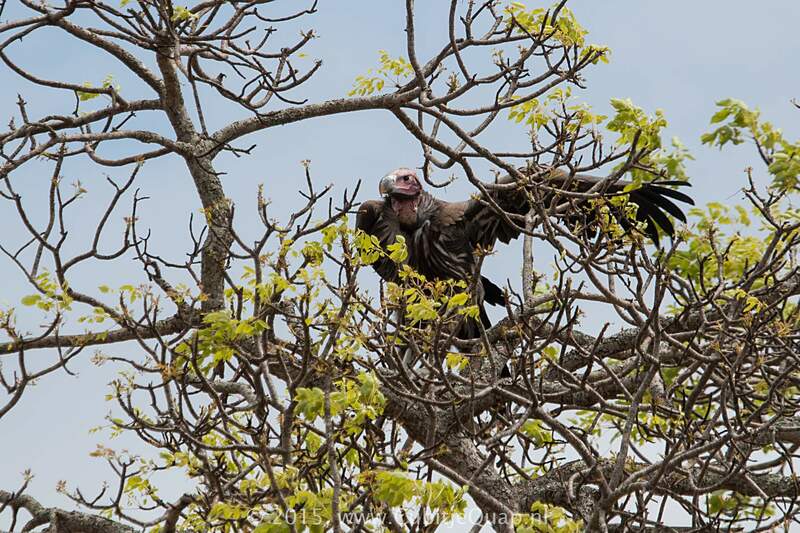 Nests on tree-tops, solitary or in small, scattered colonies.